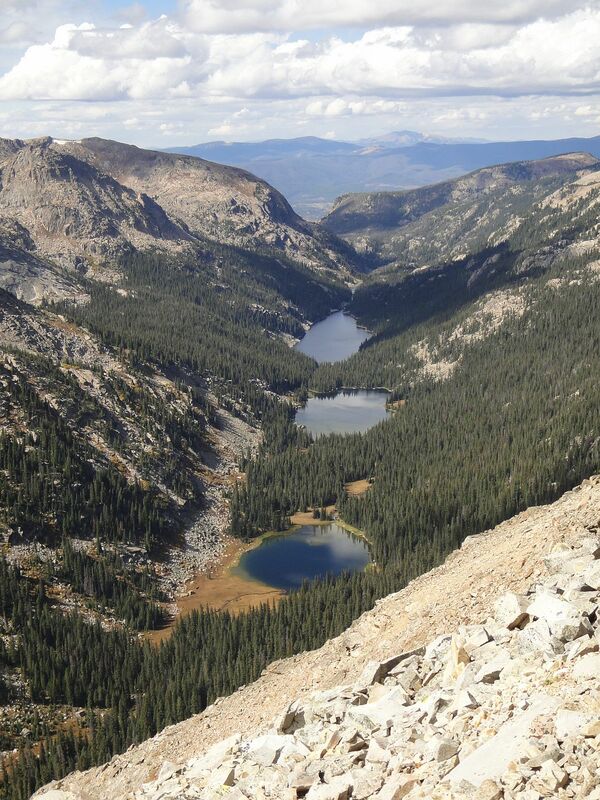 Hiking Rocky Mountain National Park: The East Inlet Basin. Hi Andy. I really appreciate your blog – it has been very helpful as I work on my upcoming RMNP trip. I am planning to hike from Wild Basin to Thunder Lake, over Boulder-Grand Pass, and down to East Inlet. Do you know if it's possible to go from Boulder-Grand directly to Fifth Lake instead of traveling to Fourth Lake and then backtracking to Fifth? If so, is it meaningfully more difficult? Do you happen to have a route description? Thanks for you kind words, much appreciated! I don't have a route description for this, but just in looking at the topo, trying to go direct down to Fifth Lake looks like a steep and possibly cliffy route. Probably not a good way to go. As you descend down toward Fourth Lake, you can start cutting south towards Fifth; take a look at the Google satellite images to get an idea of what you might encounter. It does look like there are a few rock bands higher up, but that once you're past those it should be just bushwhacking to deal with.